Holiday gatherings of our family have always included my mom’s special touches at breakfast. Her favorite of all the citrus fruits is grapefruit, and she painstakingly segments pink grapefruit after pink grapefruit to yield her big bowl of glistening fruit to make our breakfast table a celebration. Only someone (Mom. Me. Peg. If any of you other siblings have done it you can speak up now because I don’t recollect seeing you over the sink with your knife and grapefruit before…) who has segmented that much grapefruit appreciates what went into the pure, no-pith, no-seed splendor of that bowl. 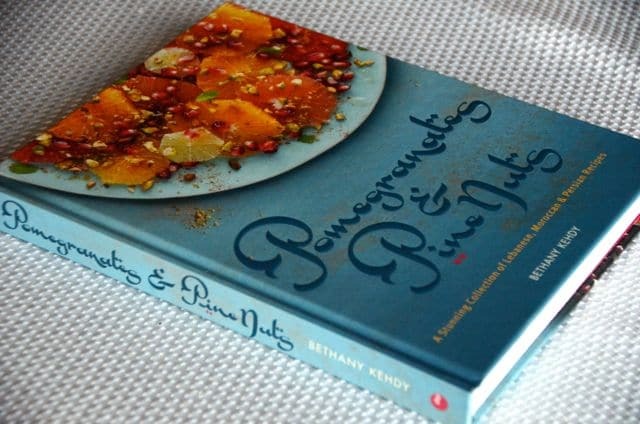 My association of the grapefruit with the holidays influenced my attraction to the cover recipe on the beauty of a new Middle Eastern cookbook, Pomegranates & Pine Nuts (also published as The Jeweled Kitchen) by Bethany Kehdy. 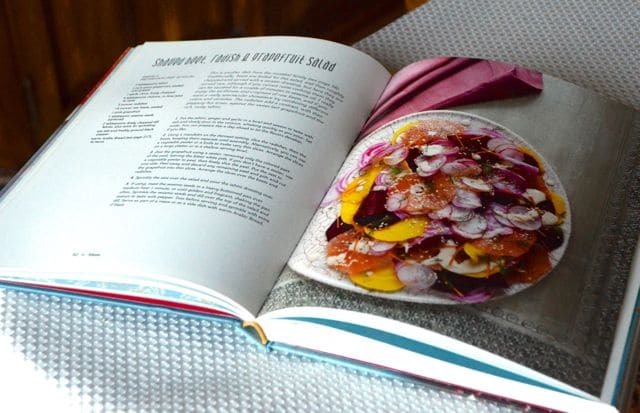 Bethany’s book is such a feast, of the sort we can’t get enough of: gemstone color, exceptional prose, and recipes that send you straight to the kitchen. Her story is a good one, having grown up between the U.S. and Lebanon and now living in the U.K. Bethany is definite kinfolk. 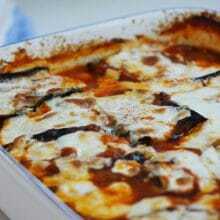 A self-proclaimed “culinary explorer, Bethany is, like a true Lebanese, an entrepreneurial force to be reckoned with. She founded her blog, dirtykitchensecrets.com; Food Blogger Connect; and Taste Lebanon, hosting culinary tours of Lebanon that promise to get us into the heart of Lebanese foodways. I’m going on one of those tours, mark my words! 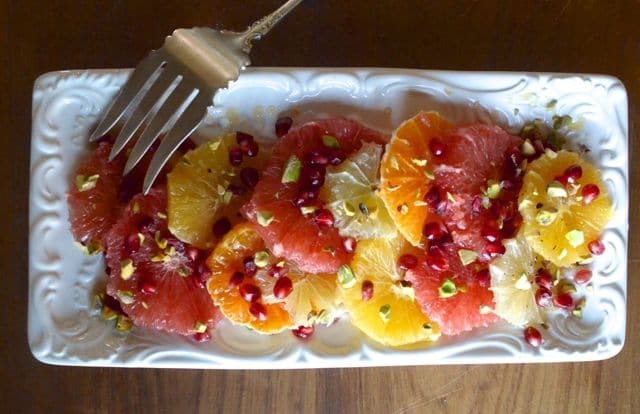 I keep making Bethany’s citrus platter (there’s more than one in the book, a pleasure) because it’s such a simple, yet innovative way to enjoy our fruit: peel and slice an array of brightly colored citrus crosswise, arrange on a platter, sprinkle with pomegranate, pistachio, mint and a little honey-orange blossom drizzle. And wow! The prize of the table! My mom is already wondering what she’ll do with all of her free time on holiday gathering mornings. The lime slices in this salad are unexpected and delicious, giving great pucker to the sweetness of the other citrus. To easily release the pomegranate seeds from their skin, cut in half crosswise, loosen the pith, then with the cut side facing into a deep bowl, hit the skin side hard with a heavy spoon, letting the seeds fall into the bowl (watch out for some red spray). This recipe is adapted (barely) from Pomegranates & Pine Nuts by Bethany Kehdy; it’s easily increased to a much larger platter of fruit. Using a sharp knife, trim the top and bottom of each citrus fruit. 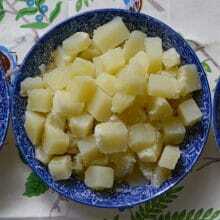 Cut all of the skin and pith way, cutting closely to the flesh lengthwise from top to bottom. Slice the fruit crosswise in 1/2-inch pieces except for the lime, which can be a little thinner but still thick enough that the slice holds together. 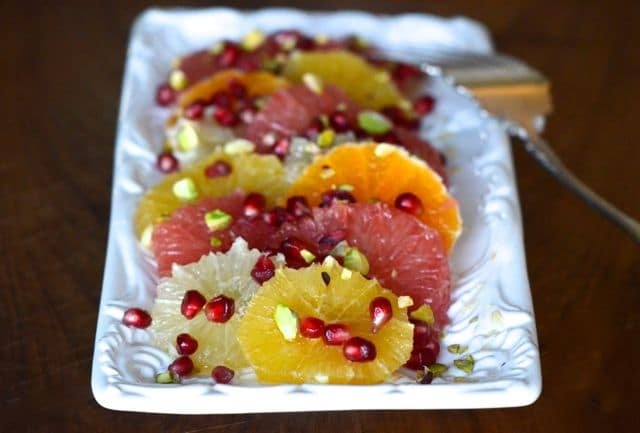 Remove all of the seeds and arrange the slices on a platter, scattering the pomegranate and pistachios over the top. If you don’t use all of the pomegranate seeds, just store them in a paper towel-lined container in the refrigerator. In a small bowl, whisk the honey and orange blossom water. Drizzle the honey mixture over the fruit, and sprinkle with mint just before serving. Makes 4 servings. 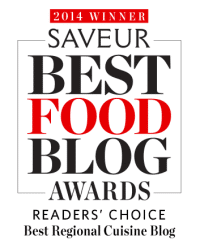 7 Responses to "Citrus Salad Recipe, and a new Middle Eastern cookbook"
That’s a good one Maureen….now the siblings have to fess up. 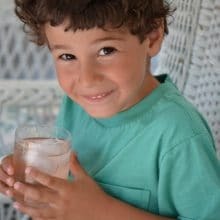 Well, I am not one of your siblings…just a simple cousin….but I have toiled many a time with a sharp knife and grapefruit over the sink..or a bowl to catch any juice. However, I can not have grapefruit anymore so now it is oranges and pomegranates. I think I have peeled and dissected 2 pomegranates a week while they are in season. They won’t be here much longer so I want all I can get now. After looking at all you have posted about new cookbooks, articles on Lebanese food blogs, and just articles about Lebanese cooking, I think i might need to either write another cookbook or update the one I have. Mine might not have enough for the “new” consumer to keep sales up…..LOL!! What a beautifully simple dish. I saw a re-post on facebook from a mutual friend and finally visited your website! The pictures on your site are lovely! My wife, Victoria is from New Zealand and I know her parents would love, love, LOVE this citrus recipe! How great, Jamie! Welcome and my warmest regards to Victoria and her parents! I hope everyone enjoys this citrus as much as I do.